The world’s first fully autonomous, fully electric commercial cargo ship will be hitting Norway’s coastal waters as early as next year. A rendering of the ship’s design. Once you start working on autonomous cars, there’s only a step (more likely a swim) to go to autonomous ships. In broad lines the tech is similar, the role is similar, it’s just that the surface they travel on is only a tad similar. So it may not come as a huge surprise that people are working on designing ships that can navigate themselves — but just how close we are to a fully working such vessel likely will. Norway is expecting its first fully autonomous, fully electric commercial cargo ship to hit the waters next year. Building and development costs on the to-be-christened Yara Birkeland is estimated to cost some US$25 million overall. The work will be carried out under a joint program by Yara International ASA, a Norwegian agriculture firm, and the Kongsberg Gruppen, who specialize in high-end technology. 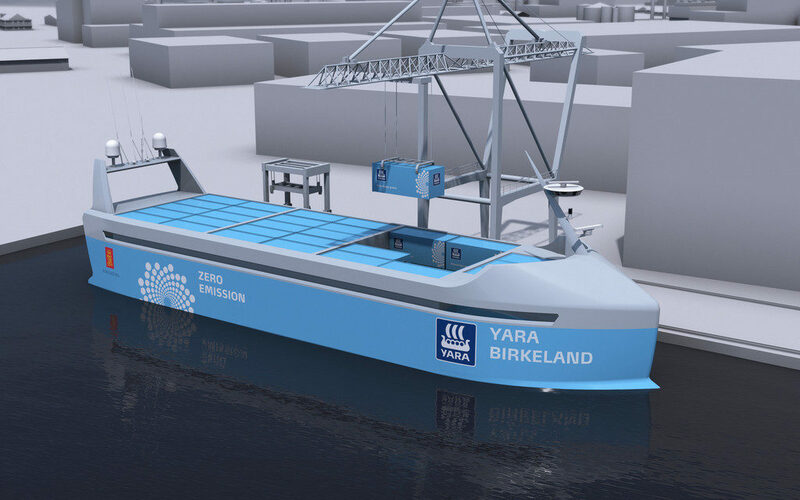 It’s not only a test bed for maritime innovation — Yara Birkeland will be ferrying agricultural fertilizers across 37 nautical miles (68.5 km/42.5 miles) of coast to the port of Larvik from a local fertilizer plant. A suite of GPS, AIS, infrared cameras, radar, and lidar will be aiding the ship it on this quest, and ensure it stays on course within 12 nautical miles of the coast without colliding with anything. Seems like a lot of cash to shell out for a fertilizer cargo boat, right? Well, the company expects to save a lot of money with the Yara Birkeland. 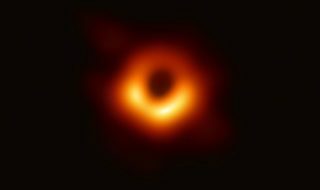 Without a human crew on board to feed and pay for, and with fuel costs out of the picture, the ship is estimated to eventually slash operating costs by up to 90%. Yara Birkland will also help make Norway that tad greener and less congested, by replacing the 40,000 truck trips currently made annually to transport fertilizer on this route. Yara Birkland’s first few days afloat, which are “planned to start in the latter half of 2018” will require some human supervision. During this testing and teething period, a single shipping container will be installed on-deck to act as a bridge. A small crew will monitor the ship from here, to ensure that all systems work as they should and to be on-hand in case they don’t. If this early stage is successful, the bridge will be moved off-shore for remote monitoring in 2019, and the ship will be fully autonomous by 2020. At 34 nautical miles, the ship’s mission doesn’t seem all that impressive, but what matters here is for the vessel to prove it works. If successful it can easily be repurposed to longer routes, “maybe even move our fertilizer from Holland all the way to Brazil,” said Yara’s project leader Petter Ostbo for the Wall Street Journal. The technology bound to be taken up by shipbuilders if it proves its worth, so we’ll likely see a lot more autonomous ships in the future. “Once the regulation is in place, I can see this spreading fast, there is a lot of interest from operators of coastal tankers, fish-transport vessels and supply ships that are knocking on our door,” said Kongsberg’s CEO Geir Haoy.